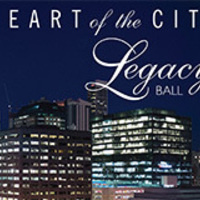 Celebrating the philanthropic spirit of the Arthur A. Dugoni School of Dentistry, the 2016 Legacy Ball will take place at one of San Francisco’s most unique venues, City View at Metreon. Enjoy spectacular views from the “Heart of the City” overlooking Yerba Buena Gardens while dancing the night away to live music. With excellent food and drink by McCalls Catering and Events, you can look forward to a wonderful, elegant evening of entertainment. Doors open at 7:30 pm. Black tie optional. Invitation only. For more information, or if you have any questions, please contact the Development Department at 415.929.6431. The Legacy Ball is hosted by the Pacific Dugoni Foundation Board.